You are currently browsing the category archive for the ‘Education and entertainment’ category. 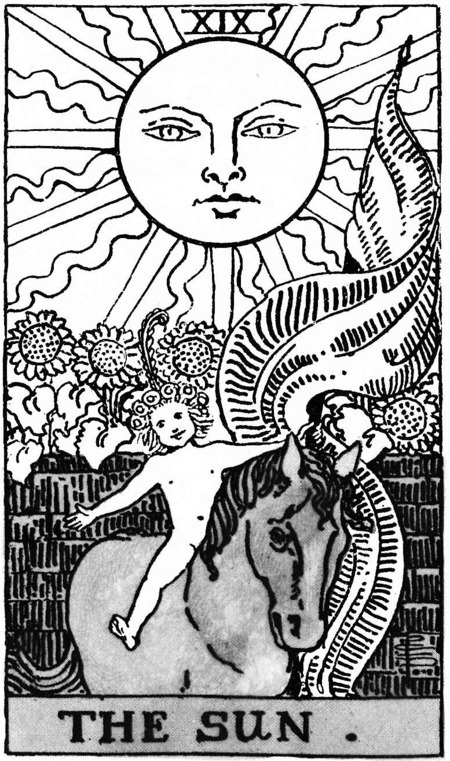 Only three cards left in our weekly draw and this week’s is card 00 of the Major Arcana, The Fool. 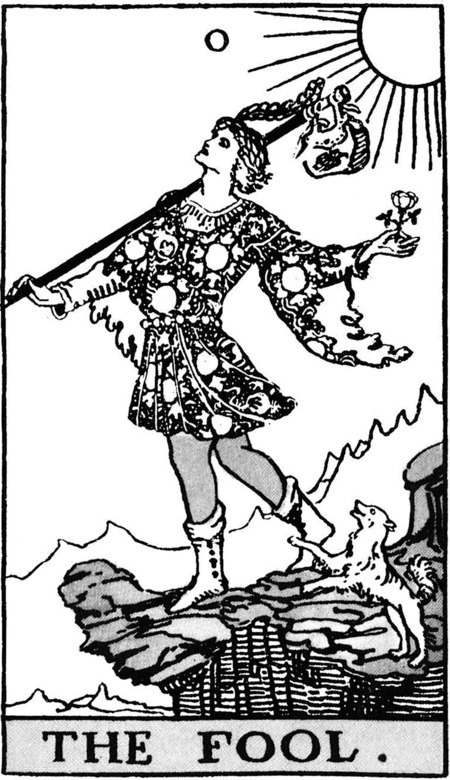 The Fool is considered a powerful card associated with new beginnings and the closure of old ways. With this in mind, today we look briefly at one of the major changes between the Neolithic and Bronze Ages, that of funerary practices. In simple terms, during the Neolithic the remains of the dead would often be dismembered and the bones collectively held in chambered tombs such as West Kennet Long Barrow, Wayland’s Smithy etc. As the Bronze Age began this trend for communal burial began to fade out, to be replaced by single (crouched) burials and cremation practices. So rather than chambered tombs holding the remains of many people jumbled together, the dead would be placed individually in barrows such as those found at today’s site: the Winterbourne Poor Lot Barrows. 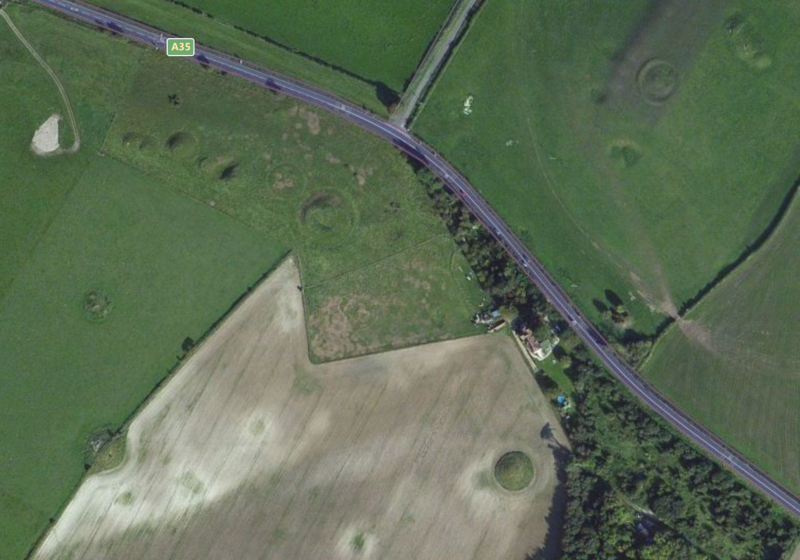 This Bronze Age barrow cemetery, dissected by the modern A35 road in Dorset, consists of some 44 separate barrows of different types including bell, disc, and bowl barrows, and can be easily viewed in passing from the main road. Many of the barrows have never been excavated. 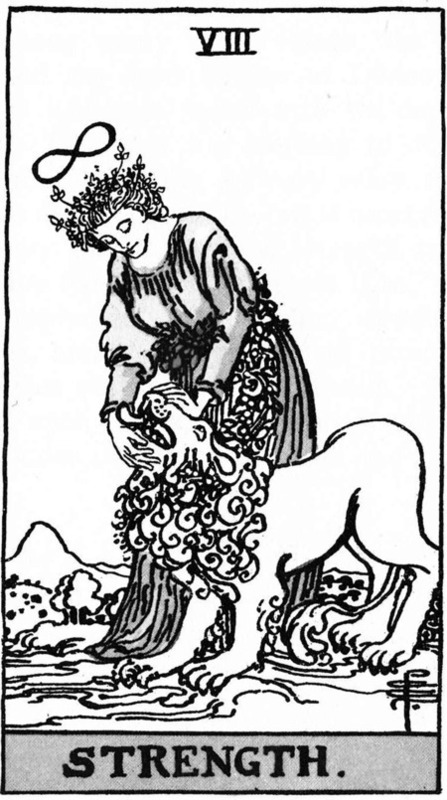 This week’s draw in our ongoing series is card VIII of the Major Arcana, Strength. One of the great mysteries of the Neolithic period concerns exactly how the monuments were constructed. 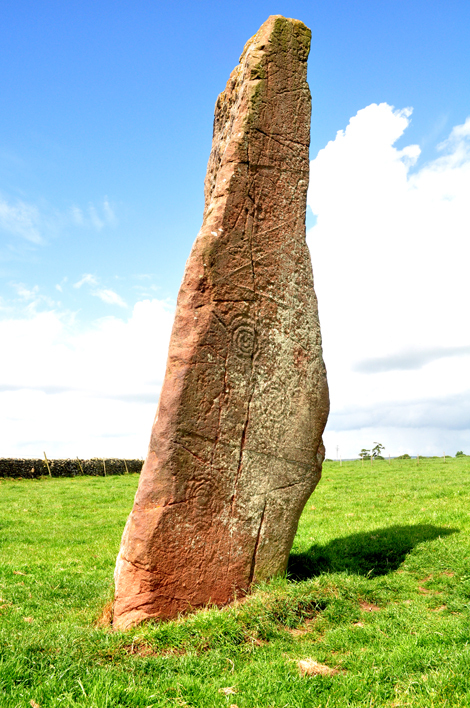 The question of how much energy and manpower would be needed when facing the problems of monument construction has been investigated and various theories have been put forward by experimental archaeologists. But it’s only when looking at one of the largest capstones in Britain that the real strength and willpower needed becomes apparent. 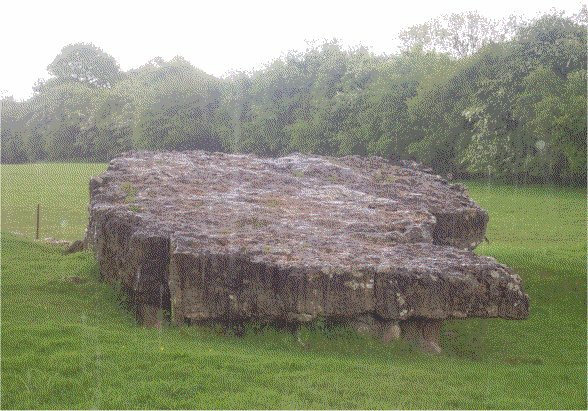 The capstone of Tinkinswood Burial Chamber weighs around 40 tons and it has been estimated that upwards of 200 people would have been needed to shift it into position. 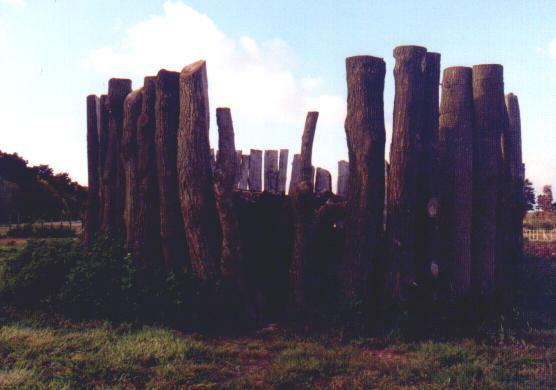 Tinkinswood is a fine example of the Cotswold/Severn regional type: a long wedge-shaped cairn, containing a rectangular stone chamber and would have originally been covered with an earthen mound. When excavated in 1914 over 900 human bones from at least 40 individuals were discovered in the single chamber, the vast majority of which had been broken. At this time one of the supports was ‘renovated’ with a brick built replacement. Nearly 100 years later, a community archaeology project identified that the capstone, thought to have been quarried locally, was not from the assumed location at all. 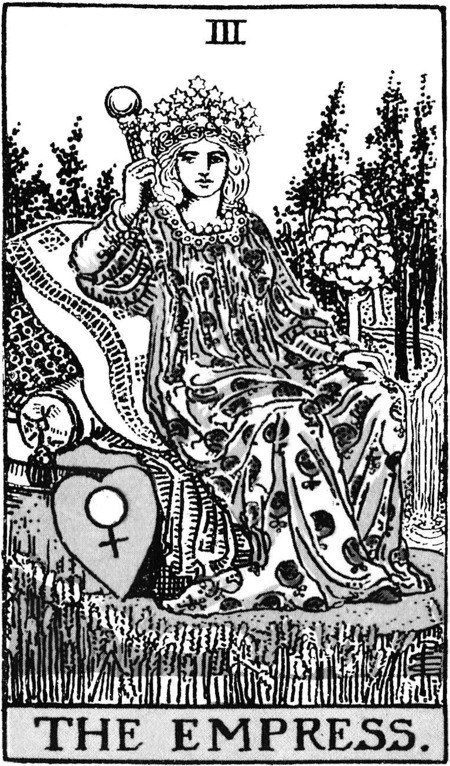 The origin of the stone has yet to be identified. 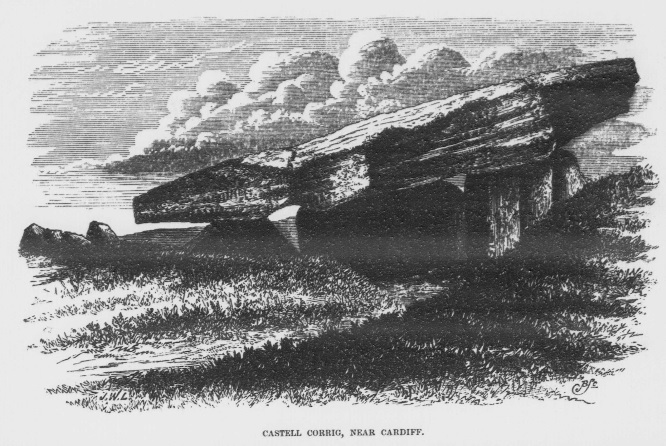 Tinkinswood from “On the St Lythans and St Nicholas’ Cromlechs and other remains near Cardiff.” JW Lukis, in Archaeologia Cambrensis 6.22 (April 1875). 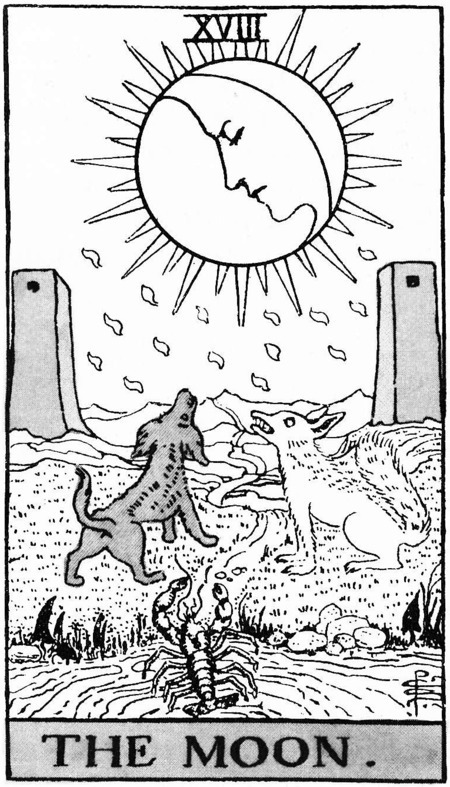 The drawn card this week is card III of the Major Arcana, The Moon. 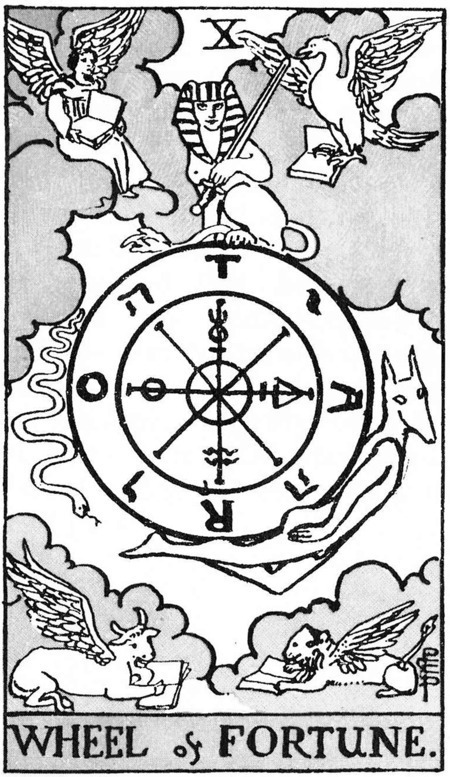 For this week’s card, we’re not highlighting a specific site, but instead are concentrating on a monument class, that of the FOGOU. The name comes from the Cornish word ‘fogo’ meaning ‘a cave’ and belongs to a group of monuments also found in Brittany, Ireland, and Scotland, collectively known as Souterrains. 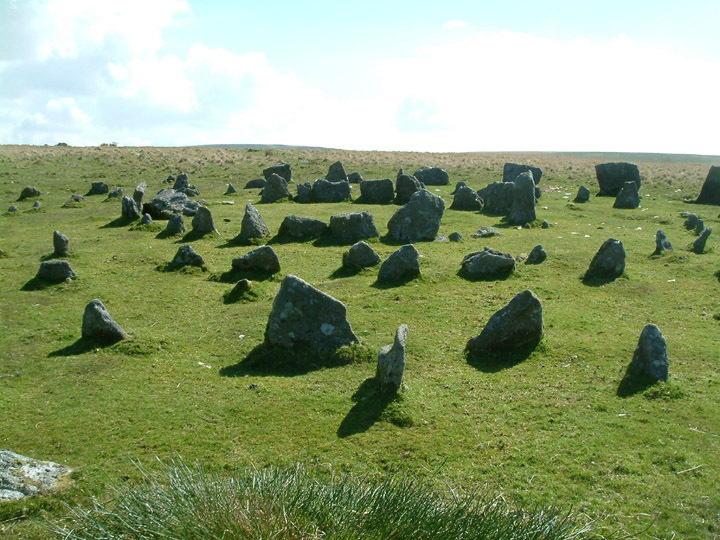 The Cornish fogous belong to the later Iron Age and Roman period. 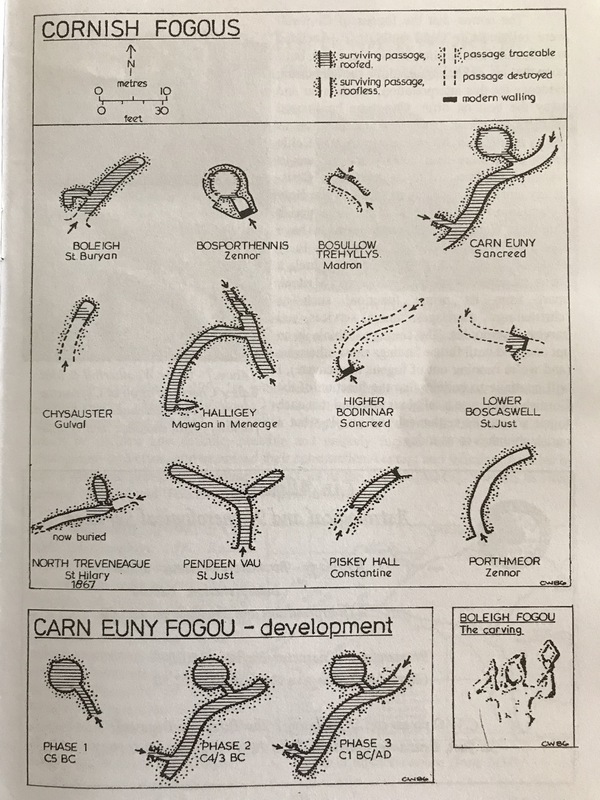 Fogous are associated with settlements and usually consist of a long curving main passage, with one or two blind subsidiary passages known as ‘creeps’. Caution is needed when entering these structures as low blocking stones provide trip hazards in many of them, and head injuries from the low ceilings are a constant risk. In many fogous, such as that at Halligye, Pendeen or Boleigh a sense of confusion can be experienced within the darkness of the creeps. 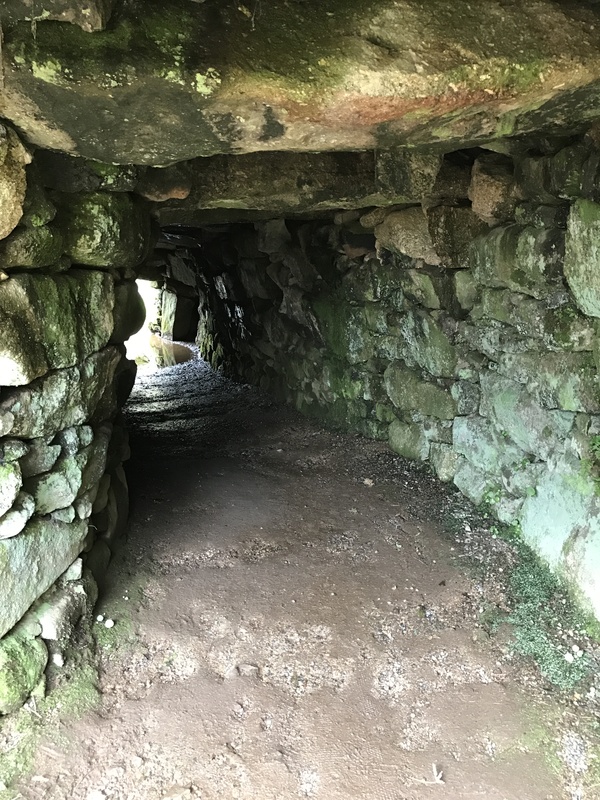 The main passage at Carn Euny. The creep can just be seen on the right at the far end. 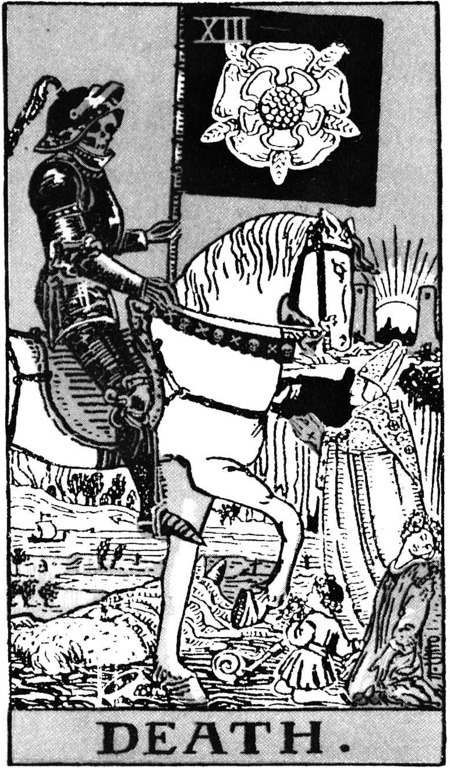 There are several theories as to the function of fogous: food storage or animal housing, a place of concealment, and spiritual/ritual usages have all been put forward but none of these have been explained in a convincing manner as yet. 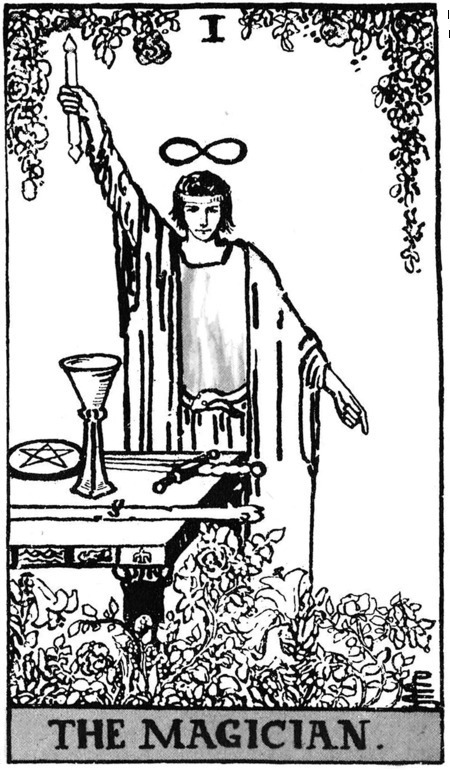 As we continue our series, the drawn card this week is card XV of the Major Arcana, The Devil. 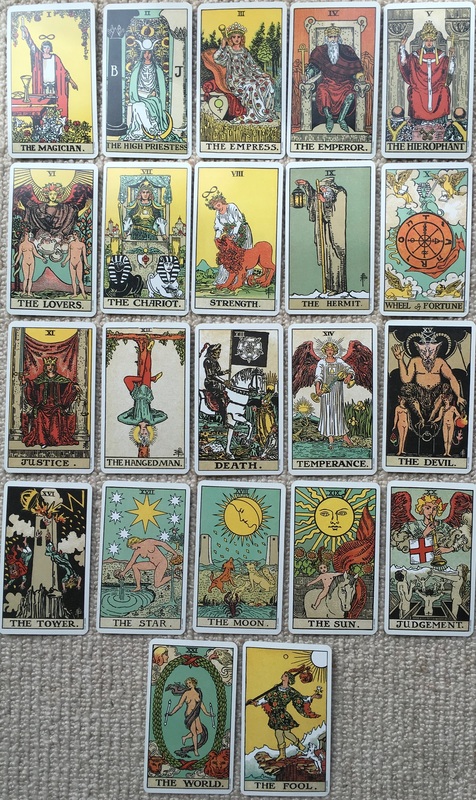 This week’s site certainly covers most of the interpretations of the Devil card. Investigated by Sir Mortimer Wheeler in the 1930’s, Maiden Castle in Dorset was still in use at the time of the Roman conquest and was thought to have been the site of a major battle between the Romans and the inhabitants (the Durotriges). 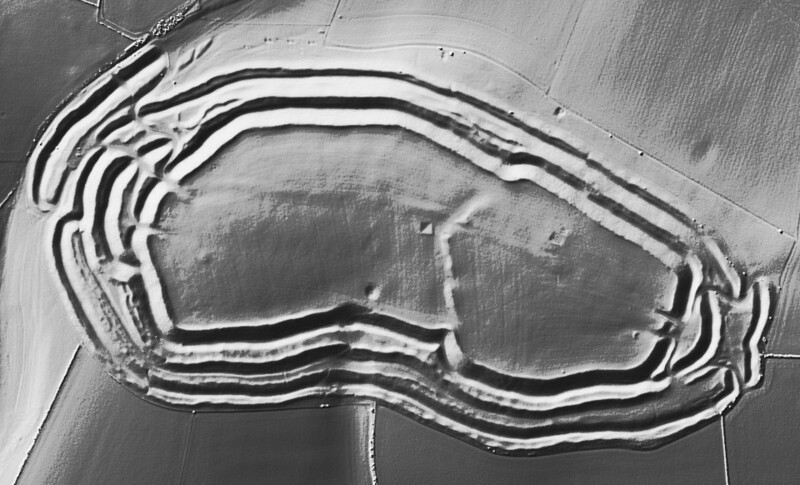 Certainly, the site would have produced feelings of resentment and jealousy amongst any attackers, being the largest and most complex Iron Age hillfort in Britain. Image Credit: © Environment Agency copyright and/or database right 2015. 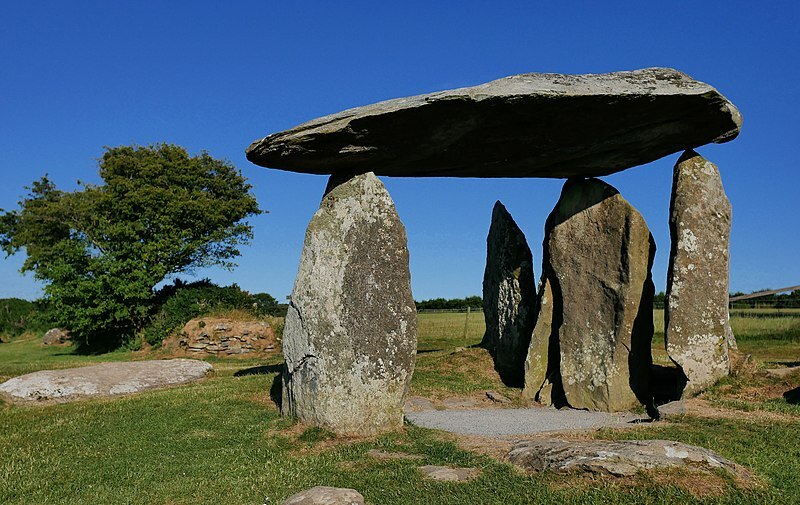 The site was actually begun in the Neolithic era as a simple enclosure, and over time was extended and expanded to the extent that we see today. 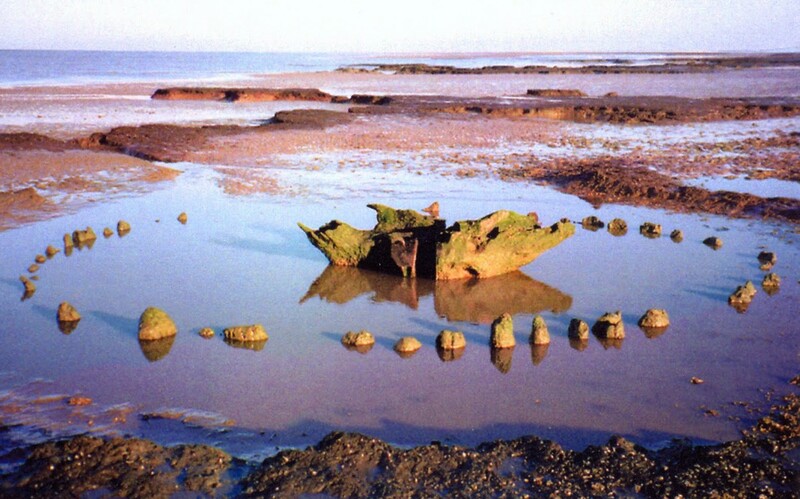 Wheeler’s findings have been revisited and further analysed over time, and it is now thought that many of the more than 52 bodies in the so-called ‘War Cemetery’ potentially pre-date the Roman conquest. But it is in no doubt is that many of the dead met violent deaths.